ISS have been working with shop fitters and head offices taking care of the whole requirement of your cabling needs including CCTV/alarms, data, electrical installations, shop frontage, LED lighting and supplies for roller shutters. Our head engineer has many years experience dealing with the forecourts of petrol stations and understands the importance of health & safety and security, whilst also being able to deliver the project on time with minimal disruption to services, even if that means working through the night or weekend. Recent projects include working at Sainsbury’s stores where we carried out cabling solutions for lottery terminals, as we could provide a quick response time. 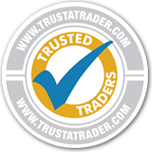 If you are a business and want to add us to your approved suppliers list we have no problem in supplying references and setting up business terms in a speedy fashion. We are specialists in undertaking insurance work for various leading insurance companies. Here at ISS we offer a competitive quick turnaround for all insurance work including aerials or satellite dishes damaged by the elements including strong winds and lightening strikes and electrical faults. We provide a written and competitive quote meeting your requirements. We replace on a like for like basis. With our expertise in many trades, we are able to combine our skills and translate most problems into workable solutions. Recent projects include being contracted by Chemdry to install temporary electrical supplies after major floods and after fire damage.